Congratulations to junior music education major Patrick Feher who has been named as a winner of the 2015-16 Symphonic Wind Ensemble Concerto Competition. He will perform "Concerto for Saxophone and Band" by Walter S. Hartley during an upcoming performance of the ensemble. 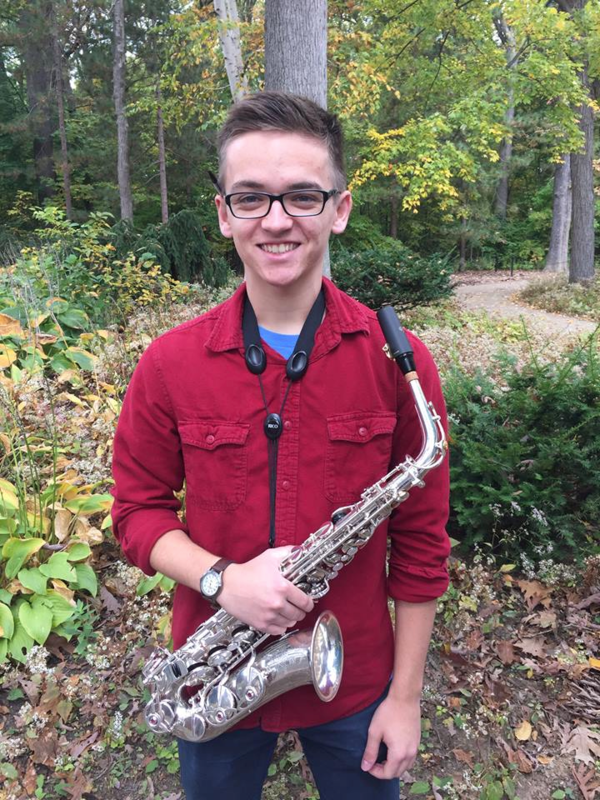 Patrick is a saxophone student of David B. Stambler and Dan Yoder, and has received Jury Honors for the past three semesters. He is a member of the Symphonic Wind Ensemble, Centre Dimensions Jazz Ensemble, the Penn State Saxophone Quartet, various jazz combos, and the Penn State Glee Club. He is a former member of Outer Dimensions, Symphonic Band, and the Penn State Blue Band. Patrick serves as an event coordinator for the Penn State Jazz Festival, and is the president-elect of the Pennsylvania Collegiate Music Educators Association's state executive board. Patrick is the son of Patty and Phil Feher of Jamison, PA.